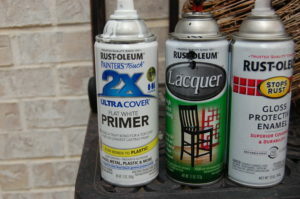 I started by attempting to use a non-toxic stripper on the top of the table. 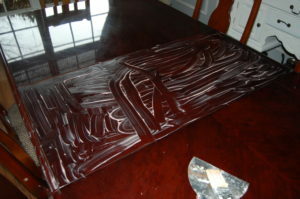 This barely affected the top laquer of the original finish. 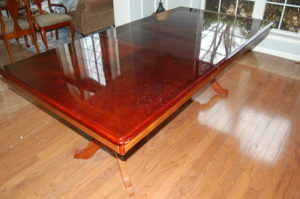 It was thick and would have taken a long time and a lot of work to get the table completely stripped/sanded. After my kitchen cabinet refinishing marathon…no thanks! 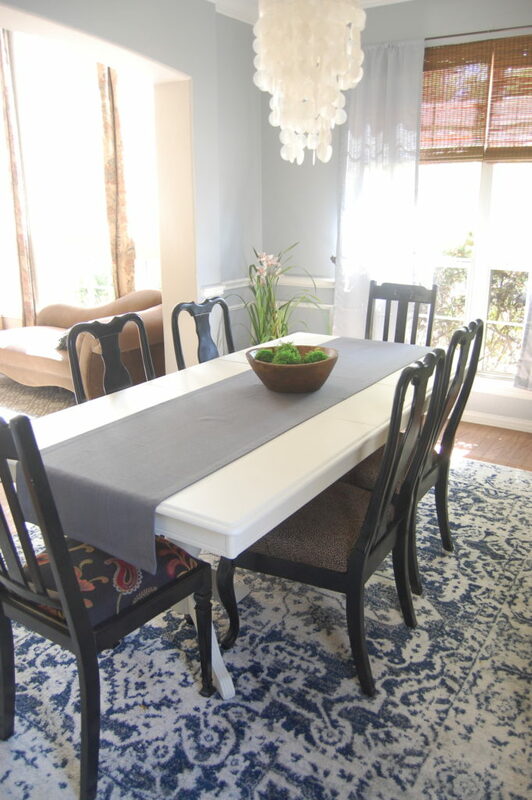 I was searching for an alternative that would not require a full strip/sand project and found that a white table with dark/black chairs is a really common look, one that I’d never really noticed and I thought it would look great in my dining room. 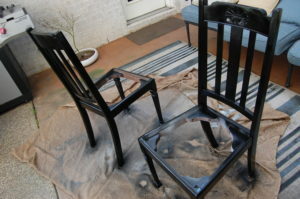 For the chairs, I wanted a high gloss finish with no brush marks. 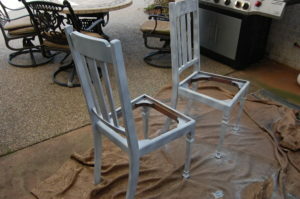 I have had really great luck with spray paint…so I decided that is how I would do the chairs. 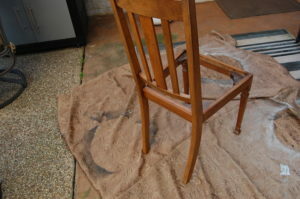 Clean/Repair chairs – I had arm rests on two of my chairs that needed to be removed because one had broken beyond repair. Then I filled any holes with wood putty and let dry. Tip: Review the recommended temperature guide on the back of the can. I didn’t finish all my chairs the same day and I can see a noticeable difference on the chair that was sprayed on the colder day. Now it was time for the table. 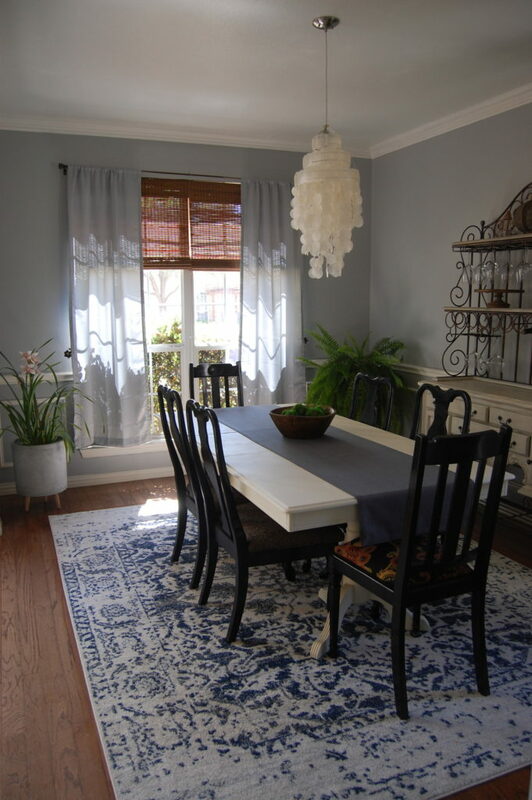 Instead of going to the effort to move it somewhere else, I just used a drop cloth under and left it in the dining room. 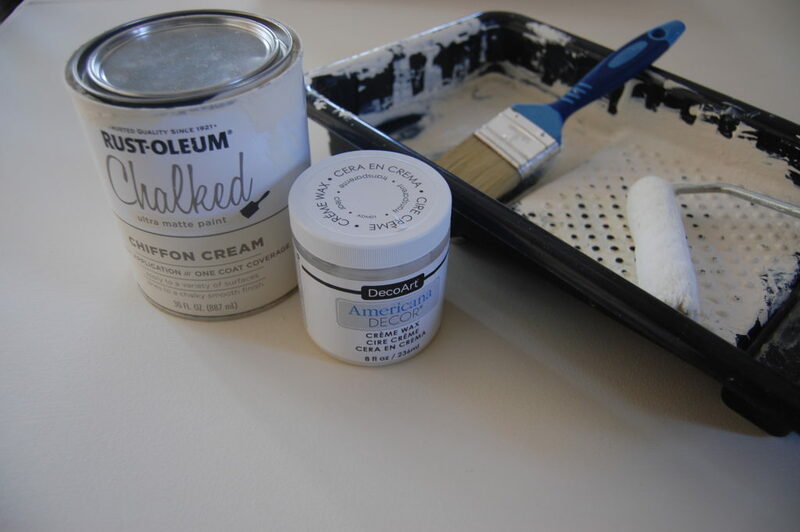 For materials, I used Rust-oleum Chalked matte paint in Chiffon Cream, a Creme wax finish and a small paint brush and roller. 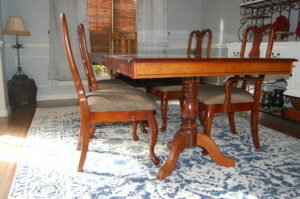 I did three coats of the chalk paint on the table and then two coats of the wax. Make sure to used the roller on the top for a super smooth finish.